Dollar Sign Money PowerPoint Templates And PowerPoint Themes 1012-This PowerPoint Template Shows Dollars placed in 3D manner. It also signifies the Business Growth which is being illustrated by the Bar Graph. It portrays the concept of Finance, Profit Loss etc. Adjust the above image in your PPT presentations to visually support your content in your Financial and Business PPT slideshows.-Dollar Sign Money PowerPoint Templates And PowerPoint Themes 1012-This PowerPoint template can be used for presentations relating to-"Dollar sign money, symbol, finance, business, metaphor, money" Our Dollar Sign Money PowerPoint Templates And PowerPoint Themes 1012 will be a charming discovery. They are both colorful and cute. Do not let the excitement get to you. 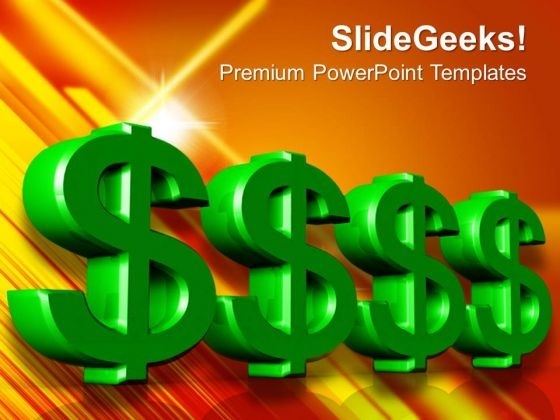 Keep it calm with our Dollar Sign Money PowerPoint Templates And PowerPoint Themes 1012.